It’s not unusual to notice a steady increase in your energy bills at certain times of the year. However, if this increase is more of a sudden spike than a slow and gradual incline, the problem may be in your heating and air conditioning unit itself. Plenty of HVAC issues can cause a sudden jump in your energy bills, but for forced-air systems that rely on ducts, the most common problem is air duct leakage. 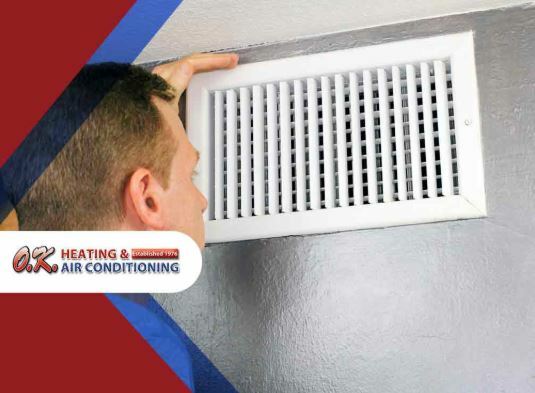 Forced-air heating and air conditioning use ducts to circulate the air throughout your home, enabling heated air to travel from the furnace into individual rooms, or cooled air to spread throughout the household. Air ducts are often hidden away within walls and ceilings, but you may be able to see them if you have a basement. They’re built from galvanized sheet metal and snake around throughout your home, connecting every room to your HVAC system. Your furnace operates by consuming energy to heat up the air, which is then forced through the ducts by blowers and distributed to the various rooms around the house. Problems with heat distribution can occur when leakages in the ductwork allow this air to escape, causing the heating capacity of your system to be greatly diminished. Because of this, the thermostat registers a drop in temperature, causing the system to consume more energy to provide the same amount of heat. Fixing leaky ducts is much more involved than a simple DIY fix, which is why it’s highly recommended that you contact professional HVAC service technicians to fully address any issues with your ducts. They may even reinforce the insulation within the ductwork itself to prevent further heat loss within your home’s system. The best preventative measure you can take to address potential leaks in the future is to schedule regular inspections and maintenance, which can greatly aid in slowing the kind of wear and tear that could lead to damaged, leaky ducts. OK Heating has been in the HVAC industry since 1976, and we know how to help you make your home more energy efficient. Call us at (925) 337-8319 to schedule an appointment today!